Of the 50 texts making the August 2016 “Top 50” list, nine of them … 18% of them are … wait for it … adult coloring books. They’ve been “Christianized,” of course, with such titles as Whatever Is Lovely, God Bless America, Today Is Going to Be a Great Day! and Scenes From The Psalms. Setting aside the contemplative coloring childishness on the list, two perpetual ticks on the hound of discern-less faux faith pop up with three listings each. Sarah Young and Joyce Meyer each have triplicate entries on this month’s bestseller list. Discernment much, people? Obviously not. Other prolific purveyors of soul-imperiling false teaching are on the list too. Priscilla Shirer, Beth Moore, Rick Warren made it, as did Christine Caine and Anne Graham Lotz. As you’d likely expect, Joel Osteen, a favorite heresy hawker of many of the deceived sort, made the cut. 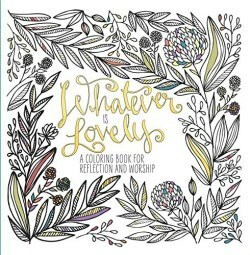 Also included on the list, with two entries, is Thom Rainer, President of SBC affiliated LifeWay, proving, perhaps, that presiding over a publishing outlet is a nifty way to keep your musings pumped up on lists like this one. Scanning this bestsellers list reminds us that authentic believers must inject biblically-commanded discernment into every area of life. And in no area is it more demanded, perhaps, than the reading of so-called “Christian” books. First, understand the premise of a “bestsellers” list. Frankly, it’s just a grammatical issue that doesn’t require much in the way of biblically-informed discernment. It just requires a little bit of God-given common sense. The adjective “best,” as in “best-seller,” does not define how spiritually edifying a book is. It is not “best” based on doctrinal soundness or because of its profound adherence to the integrity of Scripture. It’s not “best” because it will, with absolute certainty, aid in your walk of faith with Christ. No. A book is “best” because it is “selling.” That may enrich the author and the publisher and the bookstore, but it in no way is an assurance that it will enrich your soul. In fact, the opposite is more likely. Just look at the current list. What was that Jesus said … you know … about trying to “lead astray, even the elect, if possible?” (Matthew 24:24) Yeah, the Devil’s got a pen … a bunch of them. Important safety tip: If a book is on a Christian bestseller list, you can almost certainly regard it as not worthwhile. Maybe the wide path, cautionary approach to discernment in books would be helpful. Our path is very narrow and “those who find it are few.” Doesn’t merely a modicum of Biblically-informed common sense imply that if masses of people are lauding a tome, or if tons of texts are passed beneath barcode scanners, it just might be evidence that it’s a “wide-path” attraction? Don’t forget that we have an enemy who is aggressively, and incessantly creating a counterfeit of faith for the very purpose of keeping masses on that wide road. 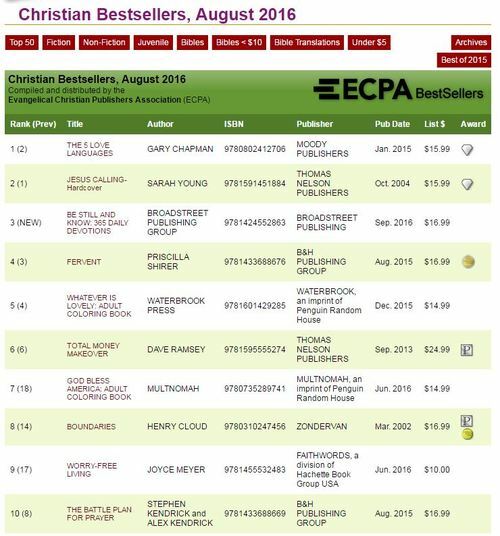 There’s little doubt – especially looking at these current “Christian” bestsellers – that he’s an avid publisher, an eternally damning author under countless pseudonyms. He’s very good at making error look like truth. But you can’t take falsehood, drag it through Scripture, label it with spiritual-ese, apply to it the “Christian” moniker, and expect it to come out as nothing less than falsehood. Tavner Smith: God is spirit, can’t do anything on earth without a body. Previous story Southern Baptist Convention Allowing Women in the Pulpits?